Allergic to credit cards? Do you have a perception that getting a credit card is like getting into trouble? Credit Card is neither good nor bad. It depends on how you use it. In this blog, I would like to list down the things which I like about having credit cards - why I use them and what benefits they bring me that I can say they are more of friends to me than foe. A friend can lend you money without interest (as long as you pay them on the time you promised). A friend treats you at times for a meal or a snack. A friend makes things comfortable for you. 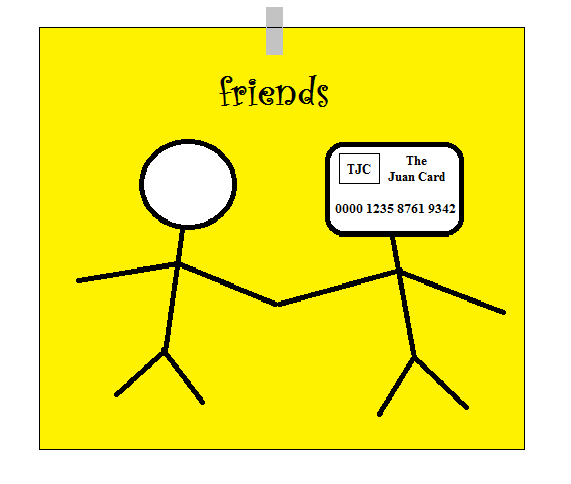 With what I described above of how a friend should be for me, I can consider credit cards as friends. 1. Credit card lends money with no interest if you pay on time. This is true when you pay your bills on or before your due date. Even though friends lend you money, it is still always the creditors responsibility to ensure that everything is settled on the agreed date. If you pay on time, then you won't get any problems. 2. Credit card treats a meal. And lets you share that meal with others. 3. Credit Card gives discounts. Almost every time, credit cards offer discounts on gadgets, shopping, membership and even in restaurants through their partnerships with a list of merchants. Last time, we had a family lunch and I only paid 50% of the bill since I paid using my credit card. I can pay cash but I chose to pay with my card to avail the discount. Wise? You can do that with your credit cards too. A little research on the available promos won't hurt. Benefit from your card rather than your card benefiting from you. 4. Credit Card rewards card holder's loyalty. Loyalty points can be exchanged with products offered by credit cards. Some points can be used to get appliances and gadgets. There are some that can be exchanged for other services. Just recently, I was able to exchange my loyalty points to a voucher which my brother used to buy airline tickets going to Hongkong to visit our First Vita Plus dealers. Our First Vita Plus business also benefit from credit card rewards in this case. 5. Credit Card provides easier payment option through installments. In some cases, credit cards help us buy necessary things at a more convenient payment strategy. These things might be important to your business but you don't have the full amount to purchase them yet, therefore, credit cards can be of aid for making payment terms lighter. 6. Credit Card repays you with rebates. Some credit cards give back rebates which can be used to pay for the amount due. Each time you use your credit card, you gain rebates which can be later on converted as a payment for your credit card bill. Maximize your card's benefit. 1. Only use credit card as a substitute to allotted cash payment. This means that you have money allocated for that item but you used your card to avail a certain promo or discount. E.g. In paying my bills, I use my card if the amount I will pay is within the promo amount of my card. Then I make sure that I set aside that cash payment to be paid on or before the due date. So it is really not borrowing something you don't have. It's just substituting your mode of payment. 2. Pay full credit card due on time. Avoid paying just the minimum. Interests accumulate so fast you'll be surprised what you've borrowed has been doubled in just a few months. Pay your due in full. If you can't do this, don't use your credit card. 3. Check what promos are available for the cards you have. Use the card that has a current promo. Again, use the card as a substitute payment strategy. Make sure that you have allocated funds for whatever you are going to purchase. It's just that you are paying through credit card to avail whatever promo your credit card has. One good thing I also like about paying through credit cards is that I am able to monitor my expenses. 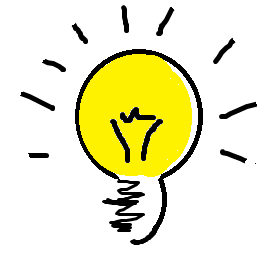 I can keep track of expenses I incur often and can check if I am going over my budget. For those who are planning to get credit cards, I am not against it but always remember the 3 tips in using your credit cards. Be friends with them and benefit from them (not the other way around). Aim to be Truly Rich, avoid debt and use your credit cards well. Hope you enjoyed this post! Comments are very much welcome.